While backpacking in the Canadian Rockies, Joel loses his way and finds that his experience hiking and camping in his home state of Florida hasn't prepared him for springtime weather conditions in the mountains. 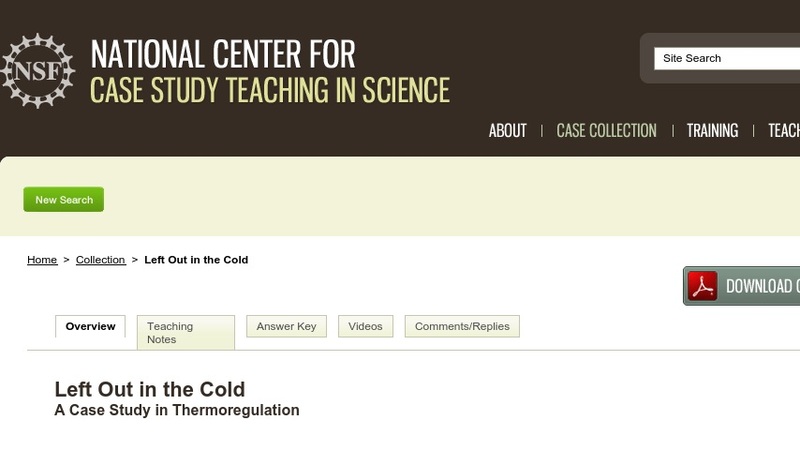 This case study allows students to review and integrate physiological responses to cold exposure. It was designed for use in upper-level physiology, exercise physiology, and other courses in which integration of physiological systems and clinical outcomes are a primary focus.